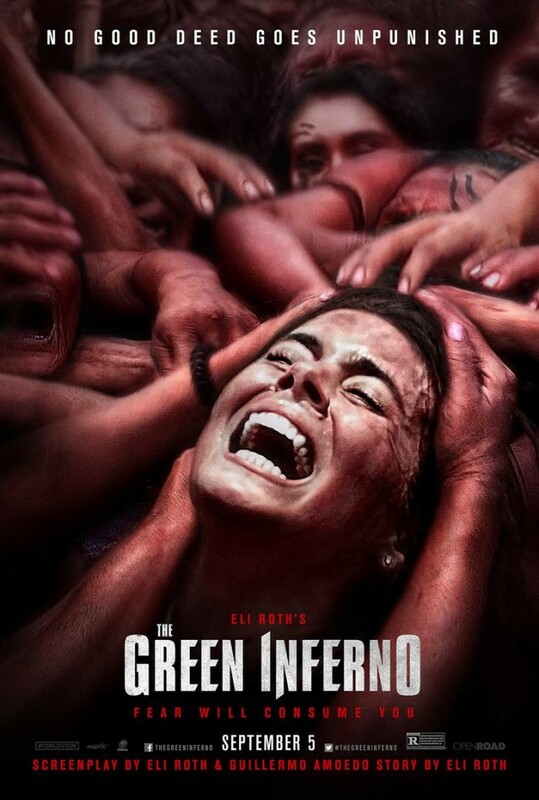 Earlier today Eli Roth unveiled the theatrical poster for his upcoming cannibal film The Green Inferno. I for one am looking forward to this, especially since Aftershock and Hemlock Grove both of which he produced were so terrible. I have personally enjoyed all the the films Roth has directed himself so hopefully this wont let me down.